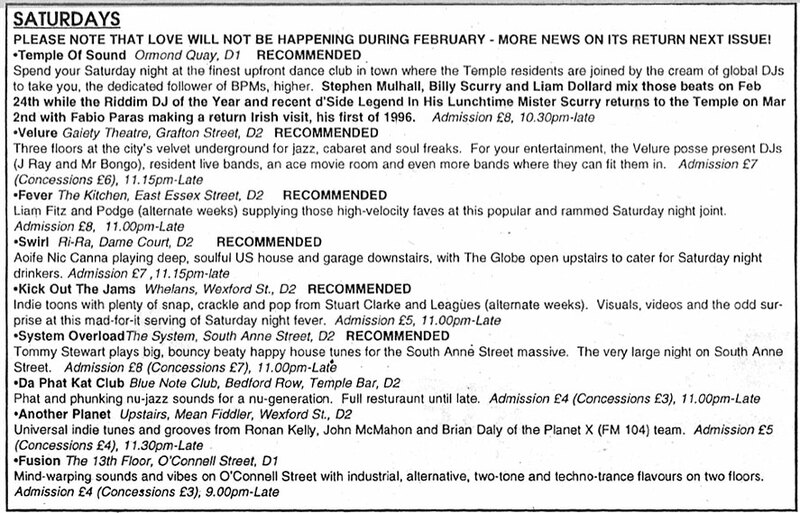 From exactly 17 years ago, this is a copy of the Event Guide, previously known as the Dublin Event Guide. 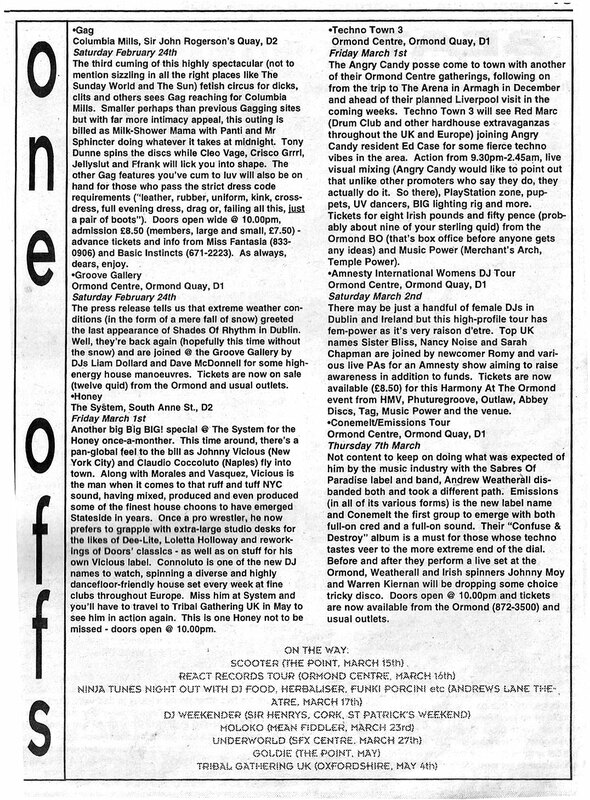 Fortnightly, FREE and although lacking in design and visuals, it was more than just a mere listings mag. 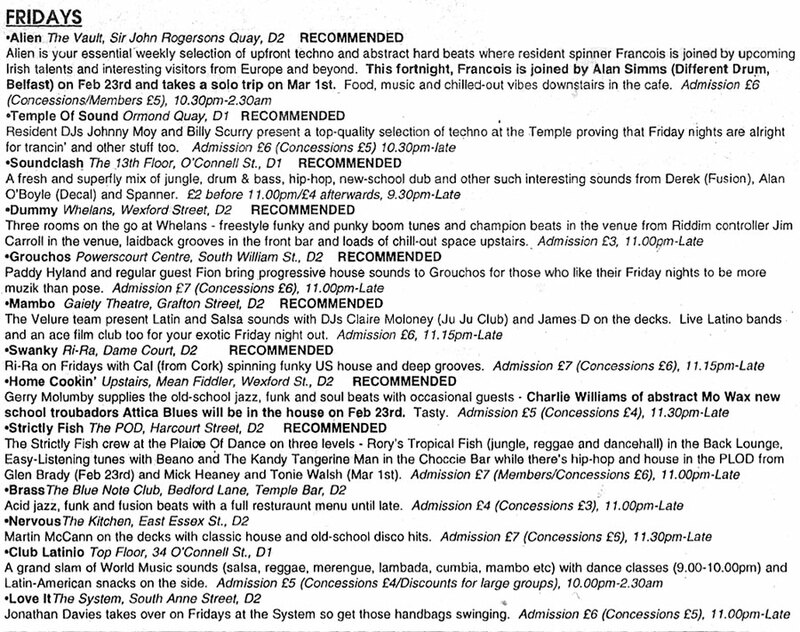 The best bits were always at the back in Jim Carroll’s Riddim guide to clubbing.